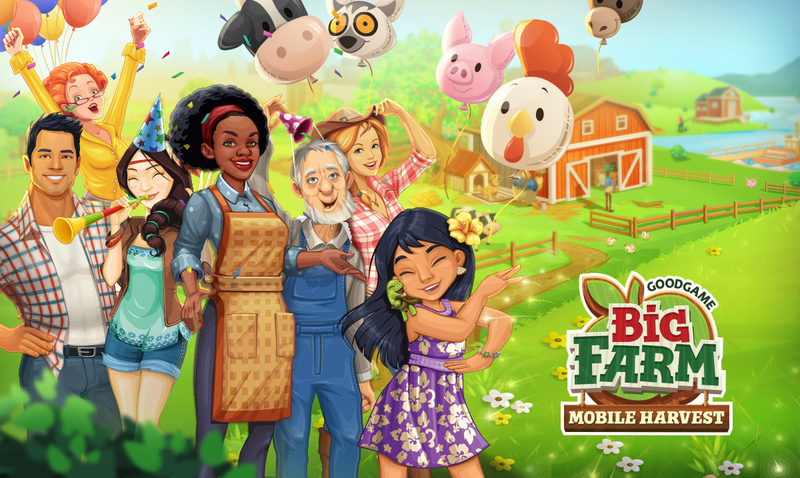 Goodgame Studios continues to see growing success with their mobile game BIG FARM: Mobile Harvest. 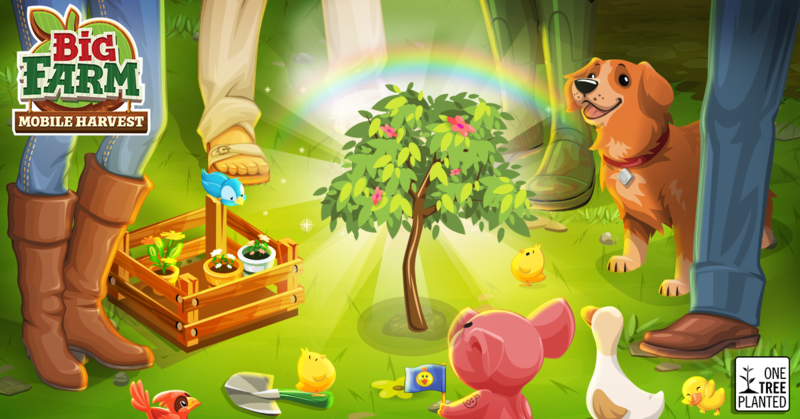 To celebrate this success with the BIG FARM community, today BIG FARM: Mobile Harvest will launch their ‘Big Farm Forest’ Charity event, where players can collect tree saplings on their farm while doing their daily farm quests and tasks. For every truck load of seedlings the community collects, Goodgame Studios will work with non-profit charity One Tree Planted to plant several thousand real trees. In an effort to reforest the tree population in California which got badly hit in this years’ forest fires, Goodgame Studios will collaborate with the non-profit organization One Tree Planted to plant up to 5000 trees in spring 2019. The charity event starts today and will run for one week. It will be supported with social media activities. For more information make sure to follow https://www.facebook.com/BigfarmMobile. 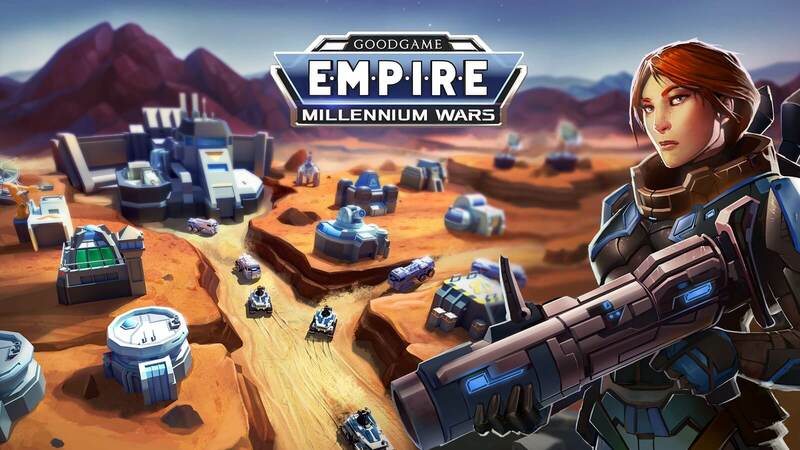 Following the release of its latest strategy game EMPIRE: Millennium Wars on mobile, Goodgame Studios is proud to announce the global release of its latest title on web. The new game allows players to run their corporate mining empire on Mars, where they can compete against other players to ultimately rule the Mars Trade Federation. “We’ve built this version of the game from the ground up for web using the latest web technologies for the best browser coverage and performance” says Simon Andrews, Head of the studio responsible for developing the game. “EMPIRE: Millennium Wars is a great fit for web, and we will be adding lots of new and exciting content for our players over the coming weeks”. Goodgame has a track record for releasing highly successful web games including BIG FARM and its highly popular medieval strategy game EMPIRE, Germany’s most successful game of all time and one of the top games worldwide. “We are committed to providing our players with great new game experiences on web” says Jörgen Larsson, Stillfront Group CEO. “Our investment in leading web technologies such as html5 is a key component of our future product strategy”. Just in time for its sixth anniversary, ‘Goodgame Empire’ has given its developer, Hamburg-based Goodgame Studios, a truly special gift. The highly popular medieval strategy game hit $800 million in lifetime revenues, becoming Germany’s most successful game of all time and one of the top games worldwide. One requirement for reaching that goal is to successfully transition from the soon discontinued Flash technology to the new web standard, HTML5. “It’s a mammoth task, we are talking about one million lines of code that have to be transferred,” explains Benjamine Constantine, who is responsible for this strategic project for Goodgame Studios. “Nevertheless, we are aiming for a seamless transition for our players, meaning the complete feature set as well as regular content updates.” The project is well underway and the switch is planned for no later than mid 2018. 2018 promises to be an exciting year for Goodgame Studios and the Empire brand anyway. Besides continuing development of Goodgame Empire itself, from early 2018, the Empire franchise will be expanded with the addition of the new game, ‘Empire: Millennium Wars’, where players can compete to dominate the mining industry on Mars. Unique support from Google will start this Thursday. Despite not being released yet, ‘Empire: Millennium Wars’ will be featured prominently in the Google Play Store for pre-registration. We’re proud to be able to advertise our most successful games, Goodgame Empire and Empire: Four Kingdoms, on TV again during July and August. Hooray! Thanks to a reasonable advertising budget, we’ll be appearing on channels across Germany, Austria, and Switzerland, including the ProSiebenSat1, RTL, Discovery, and Sky networks, as well as on various special interest channels such as N24, MTV, and Sport1. We are looking forward to it, and we’re excited to see how the campaign will be received. Playing as part of a team in an alliance can be a lot of fun. Players can support each other and pit themselves against other alliances. If a player needs construction material for buildings, a fellow alliance member can help out. If a player is attacked, their friends can send troops to help them defend. The alliance is calling! Goodgame Empire is continually developed. There’s always new content, like King Eric or the large-scale ‘Battle of the Nations’ event, where whole servers can measure up against each other. In July, there will aso be lots more new content, new rewards, quests, and buildings. And ‘Khan’s Revenge’ is sure to enthrall players. Even bigger, even stronger! The third spot in the bunch shows different aspects of Goodgame Empire: On the one hand, it shows the growth of a strong and well-fortified castle, customized just like any player’s castle with lots of beautiful hand-painted buildings and decorations. On the other hand it portrays playing as part of a team in thousands of active alliances. And finally you can see the cleverly strategic positioning of dozens of different units, each with their advantages and disadvantages, trying to defend or capture property. We’ve had great success with TV advertising in the past, and we are confident that we can now repeat this. And here are the new spots – enjoy!